Do you live in New York City? Do you like cookies? Are you into cookies so hard that you carry cash with you, just in case the opportunity to buy cookies arises while you're going about your day? If you answered yes to any or all of these questions, read on. "The biggest impact that we see and when you talk to the girls you'll hear them say, is that they belong to something, they have a sisterhood within the other Girl Scouts," said Meredith Maskara of the Girl Scouts of Greater New York. "They talk to other girls who may be in their same situation who feel alone, and they feel like they have a stronger sense of community and belonging overall." Buying any Girl Scout cookies, which are the crack cocaine of sugary treats, is a win. Buying them from troop 6,000? That's way more cool: not only will doing so help to grow the bonds of friendship and belonging in a group of disenfranchised children, the cash you fork over will also help those kids to take part in amazing experiences that may have been all but unattainable to them, otherwise. I can't even imagine how much a field trip or a week at summer camp must mean to a girl who doesn't have a permanent home over her head. A break from the daily stresses that come from homelessness is so important for someone so young. So, if you're in New York this Friday, stop by Kellogg's NYC on East 17th Street in Union Square. 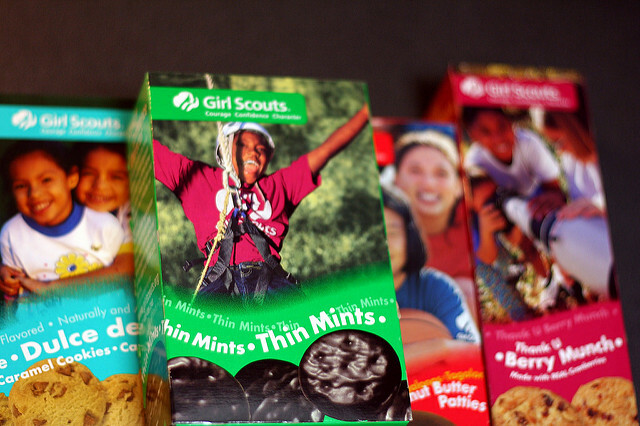 Troop 6,000 will be there selling cookies from 4 p.m. to 6 p.m. I can't think of a better way to start the weekend.